Welcome to Amazing Grace HealthCare Services, Inc.
Amazing Grace HealthCare Services, Inc. serves families all over Texas in providing care to children and adults with Special Needs. Individuals with Developmental Disabilities and other Related Medical Conditions are provided with supportive care by our hand-picked staff. 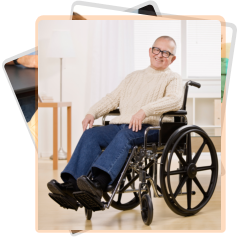 Amazing Grace HealthCare Services, Inc. provides Special Needs Care all over the state of Texas.